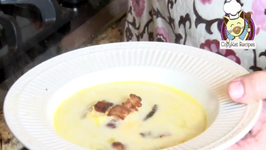 Betty demonstrates how to make Slow Cooker Loaded Baked Potato Soup. This recipe was adapted from a version by 12 Tomatoes and Greater Good, also Simply Made with Love. 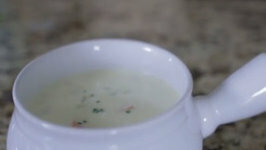 You can put together a delicious pot of potato leek soup in no time. 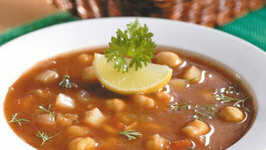 Soup tastes simply delicious when it is made fresh full of tasty fresh ingredients. 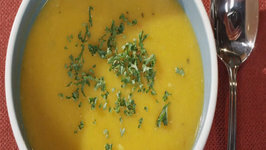 In this soup recipe, sweet potatoes get some extra zip with hot peppers. Both vegetables are plentiful in late summer and fall. This soup recipe is perfect for cold winters. Its nice, hot and creamy all at the same time. Enjoy. 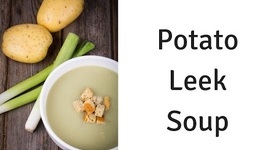 How to make Loaded Potato Soup. 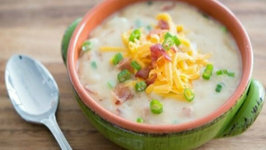 This recipe has crisp bacon, sharp cheddar cheese, and scallions, and is perfect if you want a quick and easy way to make one of the best ..
Can you think of anything better than a delicious warm soup on a chilly day? Neither can I. Recently Ive been on a potato kick and have been craving baked potatoes so I ..
Gary House cooks up a batch of hearty Leak and Potato soup in his Dutch oven and serves it up in a fresh baked Beer Bread Soup bowl all on the Camp Chef Big Gas Grill. 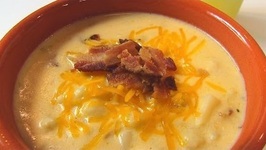 This is a creamy cheese potato soup that can be made easily in your home. 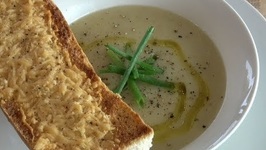 It has all of the goodness of a baked potato in a creamy soup. 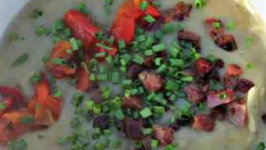 Red Potatoes make this soup extra special. 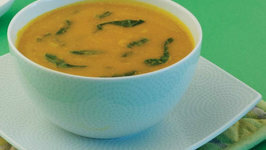 Carrot and spinach soup, is a very healthy and vitamin a rich soup. It is great for your skin and for your eyes. . . Worth a try ! 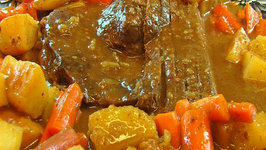 In this video, Betty demonstrates how to make Slow Cooker Sirloin Beef Roast with Vegetables. 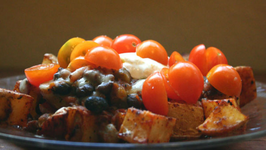 This hearty entree makes enough to feed a crowd, and it is very quick and .. This Lebanese soup is delicious! Throw in garlic, onions, tomatoes, and potatoes with a sprinkling of coriander the flavors come together beautifully. This is a slightly more "gourmet" soup. 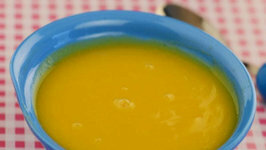 Rich in energy and vitamin A, this soup is a "solid" meal which will make baby feel satisfied. 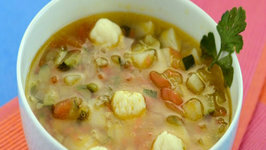 This is an energy rich and crunchy soup! Creamy potatoes, crunchy zucchini and tangy tomatoes combine really well to make a dense, delicious soup. Creamy thick and rich... great for a cool winter evening. 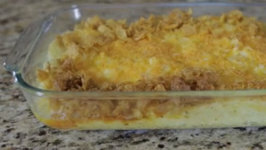 Funeral Potatoes are easy to make, and they taste great. These can be put together very easily you will need frozen hash browns, sour cream, cheese, butter, and corn flakes. 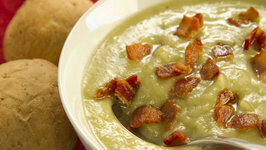 A great go-to soup with leeks, potatoes and topped with crispy bacon. Very few ingredients and absolutely delicious. 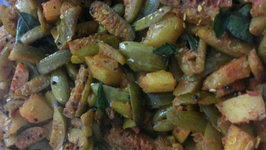 Tindora or Ivy Gourd is commonly known by different names in India like - parwal, kundru, tondli, toroda, kunduri and so on. Chili is good any time of the year. So are crispy, oven roasted potatoes.So lets combine the two. 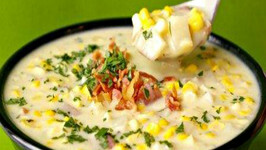 You can make country potato soup just like La Madeliene does.